The trail was bare and wet with snow and ice in places. And, we rode it with our drop-bar MTBs. I was riding the brown bike and Steve his CO-OP test mule. 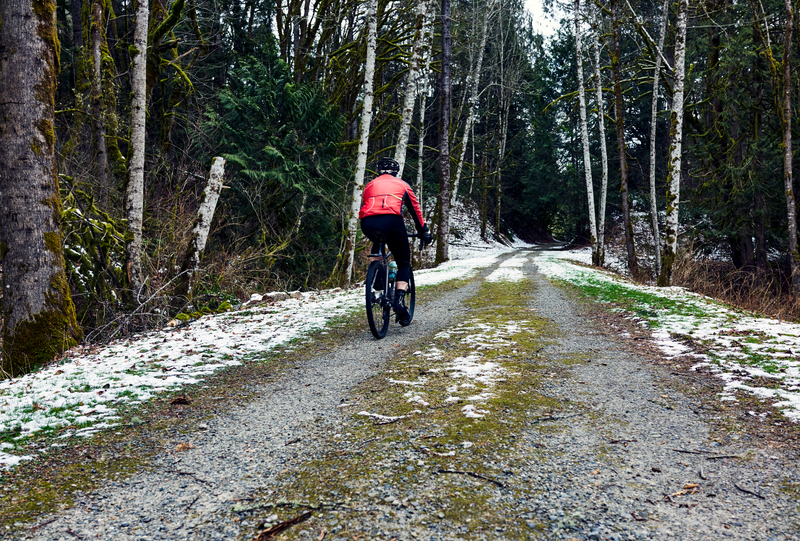 Looking for a new connector to the Iron Horse Trail, we also experimented with tire pressure. It’s remarkable how a couple PSI can drastically change handling characteristics. 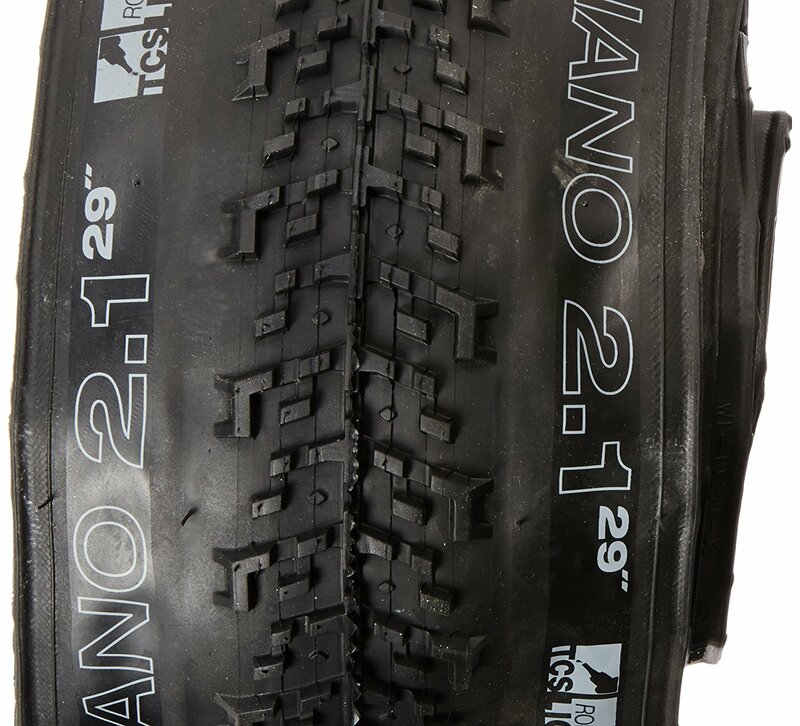 For the conditions, the 28 PSI I set the WTB Nano‘s ($62.95 on Amazon) at was too high and the raised, center ridge knobby pattern acted like a skate on ice. I’m not an ice skater, so instantly went down on an ice patch that covered the trail. It was fed by a stream and very uneven. Also quite hard…..
Knowing that in temps below 32, I’d get cold and stiffen up quick, we kept riding until the first front of a storm that later shut down the pass nearly blew of us the trail. I’ll swap the Nano’s out for the Horizons ($60.00 on Amazon) before we ride it again. Our winter ride started at i90 and Sunset. 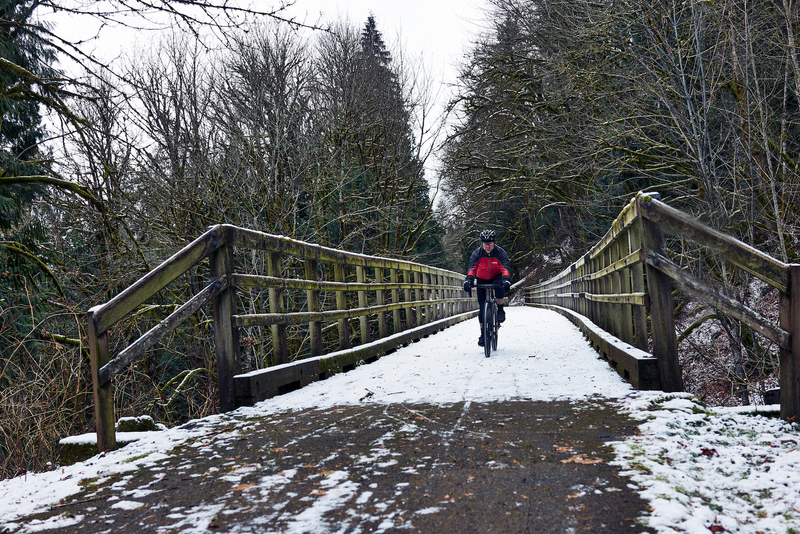 Then we pedaled to the Preston-Snoqualmie trail and turned around at the Lake Alice trailhead. The patchwork of trails we rode is called the Mountain to Sound Greenway and cyclists can ride from Seattle over the pass without getting on the shoulder of I-90. I’ll share more of where we’re riding this winter, including Maui, in the next issue of our magazine.